What remains to be seen is whether the government was unaware of the murky activities and ties between SYRIZA cadres on the one hand and Artemiou and Petsitis on the other. The government spokesman’s statement yesterday indicated that the PM’s office is not merely denying any link to Cypriot offshores lawyer Artemis Artemiou and Manolis Petsitis (the schoolmate of Alexis Tsipras’ right-hand-man and Digital Policy Minister Nikos Pappas acted as an intermediary for the government in certain cases). The PM and the government are distancing themselves from Pappas himself for obvious reasons. 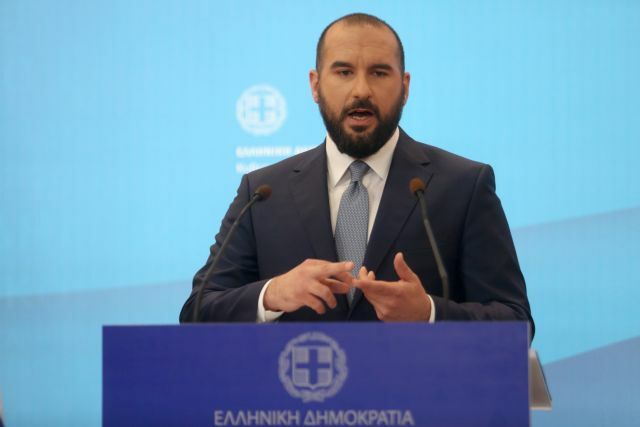 The PM’s office believes that the situation can spin out of control with revelations that could irrevocably expose Alexis Tsipras’ closest associate. On the other hand, the “correction” later issued by the government allows one to suppose that Nikos Pappas did not take kindly to being hung out to dry by the government spokesman and that the revision of the statement was the result of his displeasure. The question that arises is whether the correction was triggered solely by Pappas’ reaction or whether there was something else behind it. There can be no doubt that this case has many dark sides and that the government wants to cover it up rather than get to the bottom of it. What remains to be seen is whether the government was unaware of the activities and ties between SYRIZA cadres on the one hand and Artemiou and Petsitis on the other, or whether it had full knowledge. If it was unaware, the government fears the unknown. If it knew, it can only be terrified.